Playing on multiple tables at once is a common practice on many online gaming sites. This feature is not yet fully enabled at MahjongTime.com, nevertheless you can choose to do so now! If you are an experienced and fast player, you may want to play in a second table while waiting for others to make their decisions in the first table. However, it means that from time to time, you might be busy making mahjong decisions on two tables at the same time! This can be a distraction that may degrade the quality of your play. Thus, consider yourself warned! Sign in to your Mahjong Time account as usual. 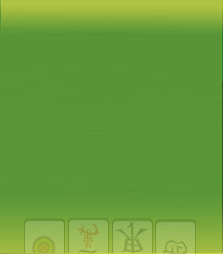 Once you are in the game lobby, open a new browser window and copy the following URL: http://mahjongtime.com/Mahjong-Play.aspx and hit "go" or "enter" button. Another game lobby should load in a new browser window and you are ready to play on two tables at once! Playing on multiple tables at once may expedite your learning curve and growth. By playing more hands at once, you'll be less likely to become impatient with the pace of play. The greatest advantage to playing multiple tables is the ossibility of increasing quicker your overall rating, guilds score or earning rate, particularly for players that already have a winning rate. Playing multiple tables at once increases the likelihood of making mistakes. This is because you can’t pay as much attention to each game, less time to adopt a player-specific strategy, and less time to make your decisions. There is also a greater risk of hitting the wrong button because you are switching back and forth between tables. Playing in this manner also requires a greater level of concentration. Thus, you should only do it when you feel focused and refreshed. It is common to become less focused when playing this way because it is markedly more difficult to follow the play and evaluate the players. Consequently, you may lapse into a mechanical style of play, where you fail to adjust your strategy in accordance with the game. Your interest in the game and how much fun you get out of it can also be adversely affected.Screen real estate is an issue. You don't want the tables overlapping too much because there is a risk you'll click the mahjong button in one table when you meant to click it in another. Ouch! Your best choice is to use a large monitor that can display two browser windows without making you go blind. An alternative is to use two separate flat-panel displays, each turned vertically and showing two ables. Only play at multiple tables if you are already a winning player, otherwise you may ended up increasing your losing rate.